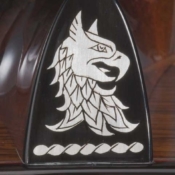 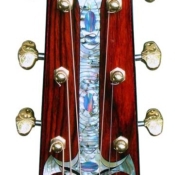 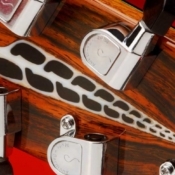 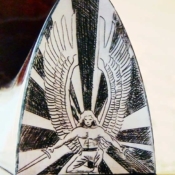 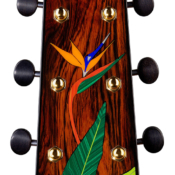 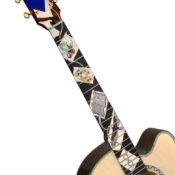 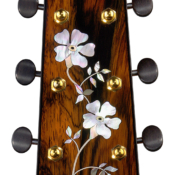 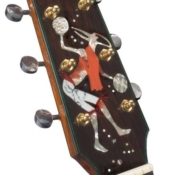 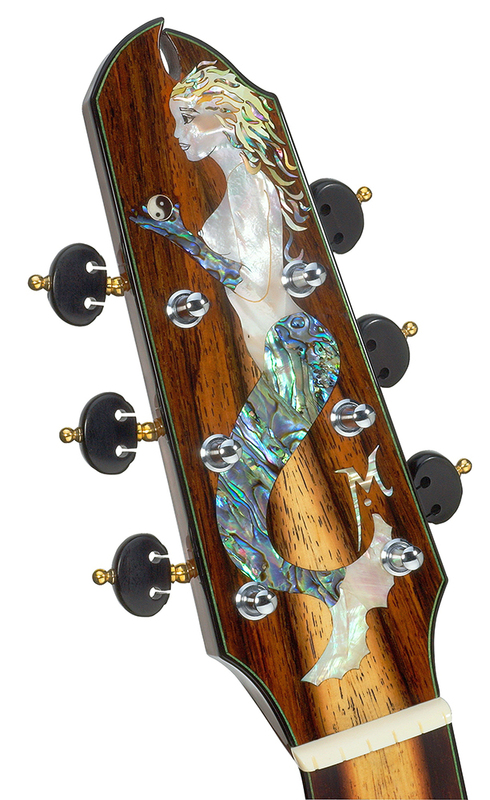 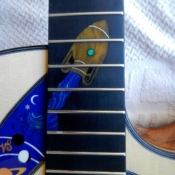 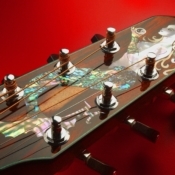 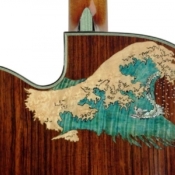 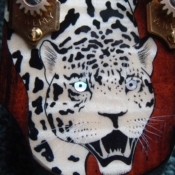 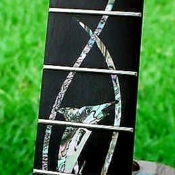 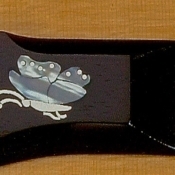 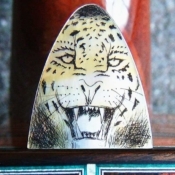 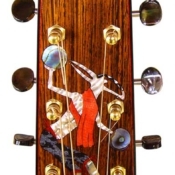 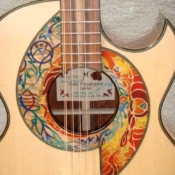 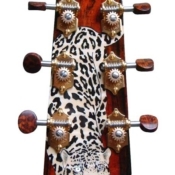 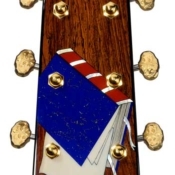 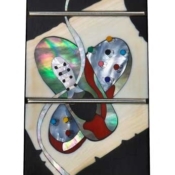 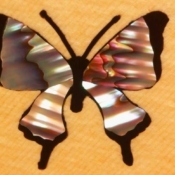 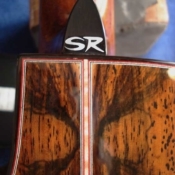 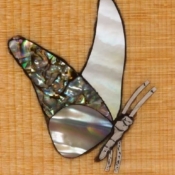 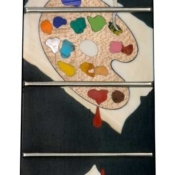 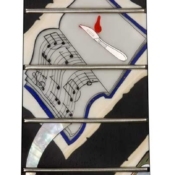 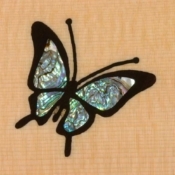 Inlays are specific to the person who is commissioning the guitar. 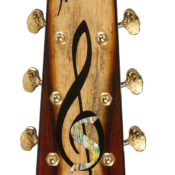 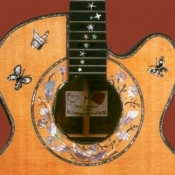 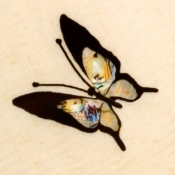 For some musicians its their initials, or a colourful butterfly, for others its their stories. 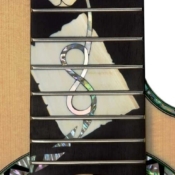 For myself personally inlays are a vital component of the guitar. 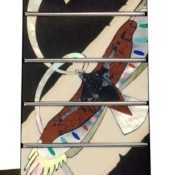 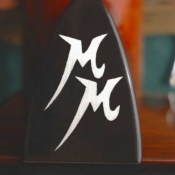 I started doing inlays when I was an apprentice cabinet maker renovating antique pieces that came from Europe dating from the 1700’s this type of work was called marquetry. 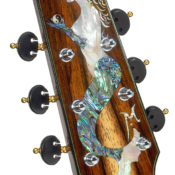 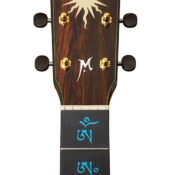 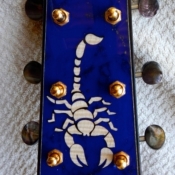 I have to say that I only really dabbled in it, but when I came to make the guitars it has been and continues to be a great joy for me to personalise the instruments.